I don’t know about you but I don’t mind adding a little bit of glam when aunt flow decides to show her ugly face. 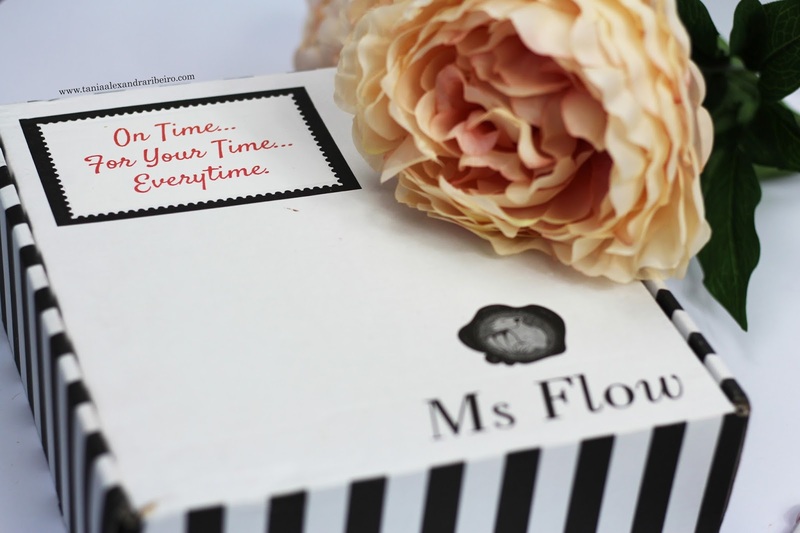 When I was reached out to by Ms Flow I was keen to find out more about their boxes and how it worked, after all it isn’t your average subscription box! Ms Flow is a premium monthly subscription box service. Each month a luxury pamper package comes with all the essentials you need to get you through your period including your choice of tampons or towels, luxury artisan treats to satisfy those cravings, as well as a beauty product to lift your mood. We at Ms Flow understand that periods are far from pleasant… Skin breakouts, mood swings, cramps, exhaustion… the list goes on. 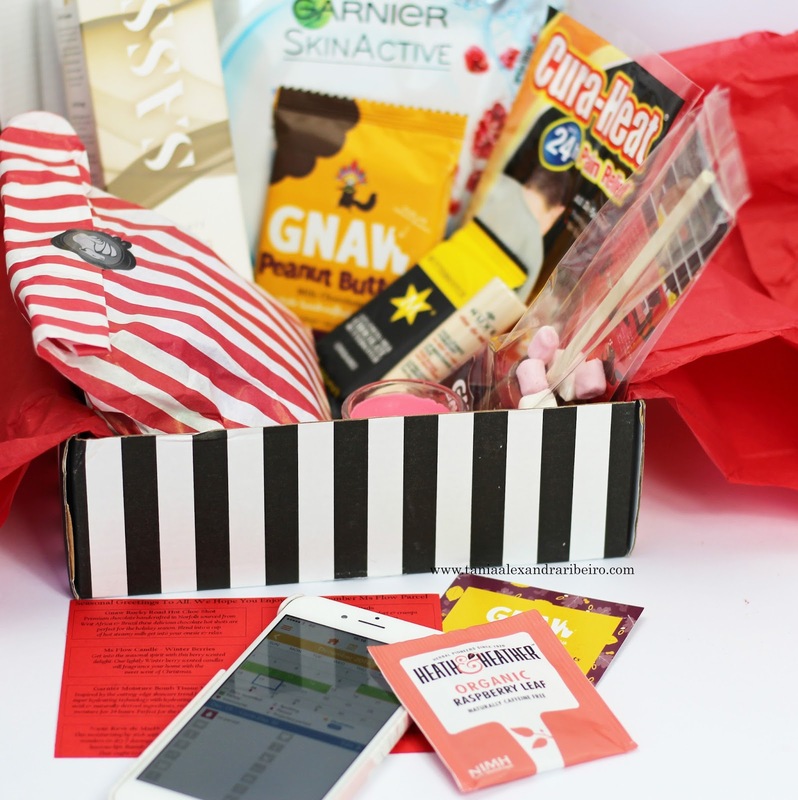 Therefore our subscription boxes include all the elements required for a happy period. 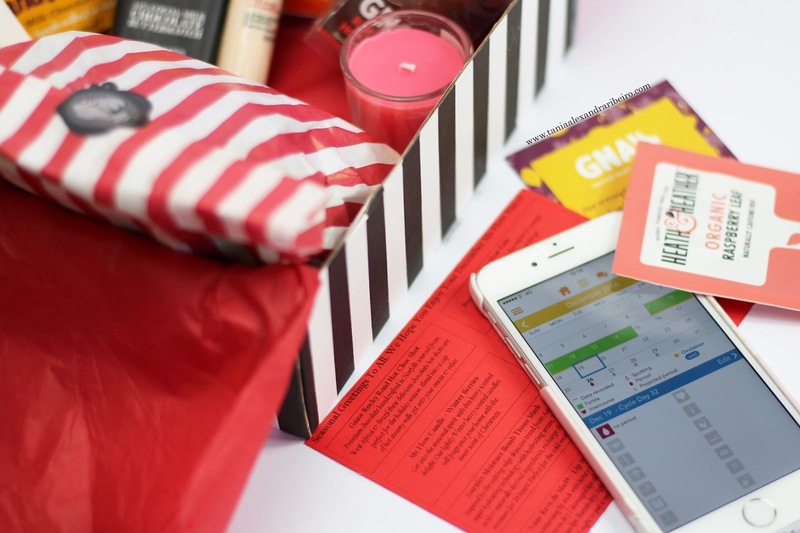 A Personalised subscription service that aims to make your period less of a hassle with a touch of luxury when you need it most. We aim to provide treats for the three things affected most, mind body and soul. Firstly let’s talk packaging, it comes in a beautiful white box with black strips on the side, the box is also very sturdy which will avoid it getting damaged in the post. (There’s nothing I hate more than damaged packaging I think it really takes away from the product!) My products came wrapped in red tissue paper. From what I have seen it changes month to month depending on time of the year. Personally I think this is a very nice touch and this month was definitely very Christmassy. Your sanitary items come in a candy style stripy bag matching the colour of your tissue paper, it also includes a red scented candle. This month’s scent was winter berries perfect to sit back and relax. It’s all very nicely put together! When you sign up for your monthly subscription you get to pick which sanitary items you’d like to receive, you can mix and match for day and night which is great and what suits your preference! You also get a Cura-heat pad to help with cramps or sore back you may experience at this oh so glamorous time of the month. In December’s box it also had SASS Intimate Purifying Cleanser. I’ve never used a cleanser before, it helps you feel fresh without causing any irritation. I think we can all agree that’s the last thing we need. Chocolate, The one thing that can make us feel better. My box included 3 yummy treats, a GNAW Peanut butter milk chocolate, a GNWA Rocky Road Hot Choc Shot (this was so pretty to eat!) and last a Butterscotch chocolate. If you’re like me and LOVE chocolate this alone was a massive hit! As a little treat and pick me up, it also includes the Garnier Moisture Bomb Tissue Mask. I’m sure you’ve all heard about these. All beauty bloggers have been mentioning these over the last couple of months. Me on the other hand I just can’t get the hang of tissue masks, they end up sliding of my face. I’m determined to make it work I might just have to lock myself in the bathroom with some candles and do nothing but relax in bath! It also brings a Nuxe Reve de Miel Lip Stick Balm, this makes your lips feel so smooth. I always suffer from dry lips especially at this time of the year. This now has a safe place in my handbag. Lastly it bring a Health & Heather Organic Raspberry Tea, I discovered raspberry tea when I was pregnant with Emma. The benefits of raspberry tea are amazing especially if you suffer with cramps and irregular cycles. I think this is a nice box and adds a bit of luxury to your time of the month. You get your money’s worth and this box is very well put together. I was very impressed!